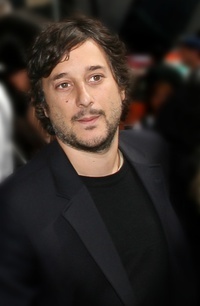 Harmony Korine (born January 4, 1973) is an American film director, producer, screenwriter, author and occasional actor. He is best known for writing Kids and for directing Spring Breakers, Gummo, Julien Donkey-Boy and Mister Lonely. His film Trash Humpers premiered at Toronto International Film Festival and won the main prize, the DOX Award, at CPH:DOX in November 2009. His film Spring Breakers was released in 2013. This webpage uses material from the Wikipedia article "Harmony_Korine" and is licensed under the GNU Free Documentation License. Reality TV World is not responsible for any errors or omissions the Wikipedia article may contain.